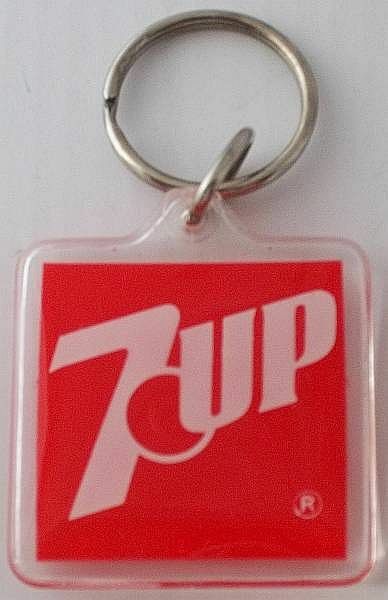 For sale is a pair (2) of Vintage 7-UP Key chains. 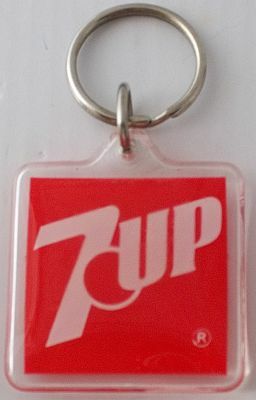 Both are two-sided, with identical 7-UP logo on front and back. Each is a red plastic 1 ½ inches square with silver tone key ring. One keychain is in excellent, unused condition, and the other keychain is also unused, however it has residue glue of a price sticker that remains on it, which can be felt but not seen.